LEARNING & INNOVATION: Panamá time or American time? Now I fully agree with Prof. Poch Macaranas of the Asian Institute of Management that Filipinos are more like the Latinos than Asians not only in terms of our time­keeping but also in many more ways. ASTD Network Panamá President Mayra Banez, conference workhorse Liliana de Duque, ASTD stalwart Carol Susan Davauney and tourism expert Pascual Calvosa and the members and staff of ASTD Panamá showered us with Panamanian hospitality to the max on top of the well organized and superbly run Congreso Internacional, ASTD Red Global Panamá. There were speakers from all over Latin America, US, Europe, India and the Philippines. I had the opportunity to go around Panamá City and observe Panamanians at work and at play. It was like being in the Philippines except for the language spoken. Panamanian lives, like ours, are intertwined with their religion-Roman Catholicism. There are churches and religious icons everywhere. Likewise, the influence of Hollywood Americans is very visible in their aspirations. After all, they use US dollars more than their currency, Balboas. The days of the conference were packed with learning sessions and the evenings were receptions. One of the interesting sessions in the conference was led by K. Jayshankar of India's Empowered Learning Systems. Jay spoke about the challenge of leading change in India. There are many lessons for entrepreneurs from their experiences. * India is experiencing shifts in business: From protectionism to competition, the era of industrial relations is over. Days of job security are over. We see the collapse of hierarchy. Right sizing has become common. There is increased focus on the untapped and hidden rural market. The growth of the services sector and India as the new back office of the world are notable. * The Indian Institute of Technologies is now attempting to bridge the gap between scientific and technical domain by incubating companies. * For the family enterprise: Liberalization has spelt doom for many businesses. However, it has created new global first generation entrepreneurs (Infosys, Satyam, Zee, etc.) who no longer seek political favors. The family business has been reshaped with the induction of professional managers-family members need to prove that they are eligible for the job. Increasingly, active investor capitalism is required. * The new market is the great leveler. Quo vadis is the dilemma for the new leader. * Leadership and managerial skills matter. The need to have strong "leaders" and the tendency to worship them is a strong current in India. * Corporate governance and accountability issues are at the forefront. * The vision of the global Indian enterprise: daring to dream. Mahatma Gandhi once said, "Be the change that you want to create." * Changes in business organizations include reforms in managerial styles and physical changes in workplaces. Compensation practices including stock options are now linked to performance. Individual brilliance has given way to the language of teams. There is an increasing number of women in the workplace. * The Nirma success: this reduced the market price of detergents to levels affordable to many-this enlarged the market size for detergents. This has become an eye-opener and inspiration to many Indian entrepreneurs. * AT Tata Steel, former managing director Dr. J. J. Irani says, "the physical changes of technology are being augmented by the liberation of the mind. With the modernization of the mind, each individual is elevated to a plane where he is comfortable with responsibility and complex ideas, who reasons every choice before him with a free mind, who has aspirations for himself, his family and society. A company with such a workforce shall, without doubt, reach the peak of achievement and success." * The current leadership initiatives in India are centered on investing in people and calling upon their skills and ideas, creating an inclusive, challenging and nurturing environment that enables employees to develop their fullest potential through participating fully in the life of the organization, creating workplaces that inspire and motivate and emphasizing teamwork and interpersonal skills as against the obsession for analytical skills and tools. * Infosys managing director Nandan M. Nilekani has this to say: "Downturn or not, we believe that talent finds its own level. If efforts are not made to attract, retain and nurture it, talent will walk out of the front door." * The challenges facing business in India today include initiating and managing change, managing and developing talent, generating the spirit of innovation and adventure and resolving the issue of employability, no longer employment. Jay ends his talk with his own quotable quote: "If you are the best or want to be the best, you can not wait for change to happen. Go and create it!" I am missing Manila but there are miles to go and promises to keep. See you in San Diego, California. 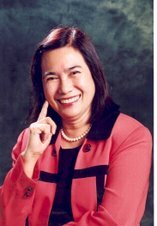 Moje Ramos-Aquino is president of Paradigms & Paradoxes Corp. and facilitates the creation and management of change. You may email her at moje@mydestiny.net.